"Audi and his team at Superior Mechanical are great. He took the time to listen to my concerns, and offered several options for me. I never felt that he was trying to push me into a system, instead he explained the costs and benefits of each system in detail. Once the job started, I felt at ease. 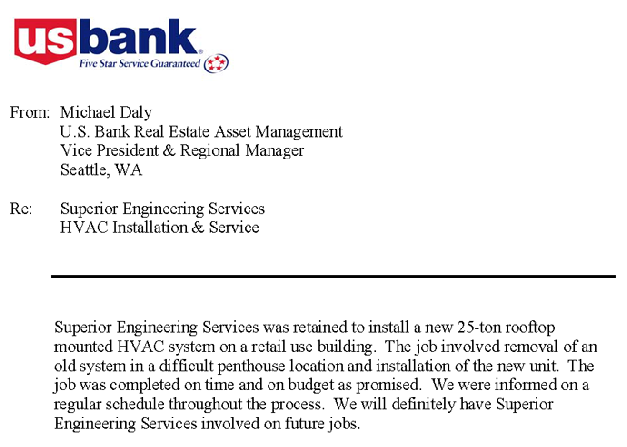 They were timely, and professional, and were able to update me on the progress of my system, as it was installed. Audi was on site during the entire process, so there was no guessing as to what we discussed. After the job was completed, Audi took the time to show me how to operate the system, and continued to follow up in the weeks after.